Technological Determinism research papers explore the work of Karl Marx and other philosophers that claim technology dictates the future. It is obvious that technology does influence change in society, but to what extent? Are the human factors and social mores of the times secondary to what technology dictates? Karl Marx is one of the more well known technological determinists. Basic Marx theory is that poverty is created by the uneven distribution of wealth. Technological advancements have spurred capitalists on and created an even greater chasm between the rich and the poor. However, a recent technological determinism term paper points out that technology has provided a “fix” and if capitalism could be put in check, theoretically, there would be enough goods to go around and wealth could be distributed among the masses. It is a utopian idea that would not survive reality. Neo-marxist theories can also be regarded as privileging the social shaping paradigm in that they emphasize that ultimately it is the socio-economic imperative that determines the development and production of technology. On this view, the capitalist ruling class is continually seeking to lower costs in order to maximize profits and new technological developments are the means to achieving this end. In a capitalist representative democracy, the foundation of society rests on the freedom of the individual to advance and “capitalize” on the goods and service he has to offer. The opportunity to increase his wealth is done through technical advancements and learning to apply a complex system to a practical procedure for maximum results. Technology and the Civil War - Technology and the Civil War Research Papers overview the role of technological determinism in the Civil War. Social Philosophy - Research papers on social philosophy explore the academic discipline that studies social behavior and society, placing importance on understanding the contexts under which ethical questions can be examined. Military Innovations of the Civil War - Military Innovations of the Civil War research papers show that the two greatest innovations of the civil war were the submarine and armor plating to navel warfare. Computer System Concepts - Computer System Concepts research papers describes how concepts such as RISC, pipe-lining, cache memory, and virtual memory have evolved over the past twenty-five years. John Brown's Revolt Against Slavery - John Brown Research Papers examine Brown's plan to seize control of the town of Harpers Ferry. 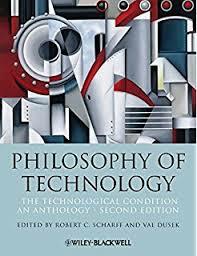 Paper Masters writes custom research papers on Technological Determinism and explores the work of Karl Marx and other philosophers that claim technology dictates the future.